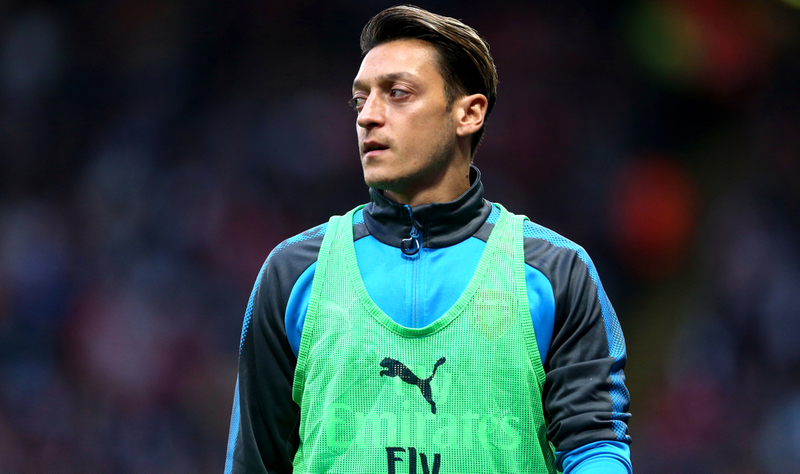 "IF WE LOSE I'M AN IMMIGRANT"
Arsenal and ex-Germany midfielder Mesut Ozil has extended an invite to his wedding to Turkey President Recep Tayyip Erdogan, further adding to the race row which lead to his retirement from international football last summer. Both Ozil and his fiancee, Amine Gulse, travelled over to Turkey to invite Erdogan in person, with the pair’s relationship causing huge controversy in Germany. Ozil retired from international football following Germany’s disastrous campaign in Russia at the 2018 World Cup, with the team being eliminated at the group stages, with Ozil starting two of their three matches. He quickly became one of the prime targets for criticism from the German media and public, something which the 30-year-old believed stemmed from racist undertones and his Turkish heritage. Prior to the World Cup, Ozil was pictured with Turkish President Erdogan declaring his support for him and believed he was the target of racism as a result of his political beliefs. The former Real Madrid man previously Tweeted: "If we win, I’m German. If we lose, I’m an immigrant." At the time of Ozil’s picture with Erdogan, there were multiple German nationals being detained in Turkish prisons due to the regime’s crackdown on opposition and freedom of speech in the media. The row stemmed to such a point that Ozil released a statement after the World Cup, citing his decision to retire. The treatment I have received from the DFB and many others makes me no longer want to wear the German national team shirt," he said. "It is with a heavy heart and after much consideration that because of recent events, I will no longer be playing for Germany at international level whilst I have this feeling of racism and disrespect. I used to wear the German shirt with such pride and excitement, but now I don't." On the latest images of him with Erdogan, German politician Cem Özdemir said: "Everyone can invite whoever he likes to his wedding, and of course this also applies to Mesut Özil. "But both current and former national players are role models and must ask themselves whether they live up to that role if they indulge autocrats who enrich themselves at the expense of their country and make their opponents disappear in dungeons. I think that is inappropriate."